The following is an account of the 1898 Boston Marathon which appeared in the May 1, 1898 edition of the Boston Sunday Journal. McDonald Lowers the Record and Runs to Boston in 2 Hours and 42 Minutes. The Marathon run held by the Boston Athletic Association on Patriots' Day (April 19) was successful beyond the strongest hopes of the management. The record of 2h. 55m. and 10s., made last year was beaten by four of the runners. This old record was 10s. faster than that made by Loues at the Olympic Championship Marathon run. The names of the four men breaking the record are Ronald J. McDonald, Cambridgeport Gymnasium Association; Hamilton Gray, St. George's A. C. of New York; R. E. McLennan, East Boston A. A.; and John J. McDermott of the Pastime A. C. of New York. Ronald J. McDonald finished first and established the new mark for the distance at 2h. and 42 m. McDonald was born in Antigonish, N. S., June 13, '76, and is 22 years old. He is 5 feet 6 inches tall and weighs about 142 pounds. He has been running about three years, and has won several prizes. He took up cross-country at the beginning of the winter, and has competed in all the B. A. A. cross-country runs and won a prize in all of them. He was one of the members of the club's team which competed at the national cross-country championships, and finished 12th. Who won the Marathon race and lowered the record, by making a time of 2h. 42m. McDonald won the last cross-country run held by the B. A. A. over a course 10 miles long. He finished second in the N. E. A. A. A. U. championship three-mile run on July 4, '97. He won the first race at Newton on July 4, '96, this being in a mile handicap run. Second in the Marathon race . Third in the Marathon race. Hamilton Gray, an old member of the St. George's Athletic Club of New York, finished second, 3 minutes behind McDonald. 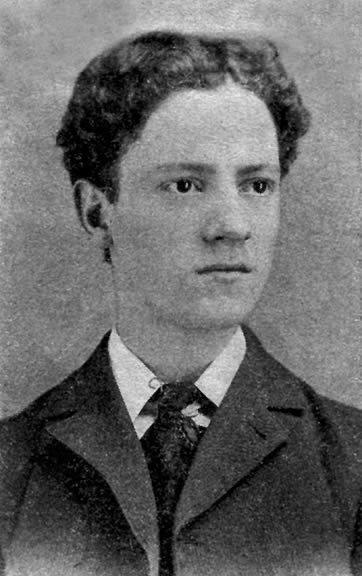 R. E. McLennan is a member of the East Boston Athletic Association and a young runner. He has competed in handicap races and cross-country events, and has aquitted himself very creditably. he is a light fellow. 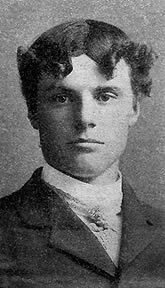 He was trained for this race by J. F. Moakley, and handled so well that he felt no ill effects from the 25-mile jaunt, but went to work the next day just the same as ever. He finished at a fast gait, and it is said that if he had been lucky enough to have been coached and encouraged along the last four or five miles of the course to the finish he would have bettered his position. He came in third, his time being 2h. 48m. 2-5s. McLennan was born in Edinburgh, Scotland, and will be 22 years old in June. He is 5 feet 6 inches tall and weighs 135 pounds. He won a prize in all of the B. A. A. cross-country runs. John J. McDermott, Pastime A. C., of New York, finished fourth and made the distance in 2 hours 54 minutes 17 3-5 seconds. This broke his own record, made in 1897 by 52 2-5 seconds. He was the winner in last year's run. 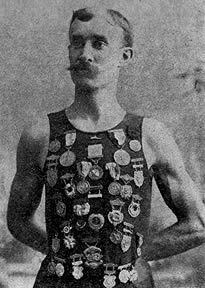 McDermott has been very clever in Marathon runs, for he secured first place in the race held by the Knickerbocker A. C. of New York in the fall of 1896 from Stanford to New York. Fourth in the Marathon race.